At VoicePrint, we’re committed to protecting and respecting your privacy. Any questions regarding this Policy and our privacy practices should be sent by email to letstalk@voiceprint.global or by writing to Business Cognition Ltd, 9 Delfield Gardens, Caddington, Bedfordshire LU1 4ES United Kingdom. We obtain different information about you when you use our website, our VoicePrint assessment tools and our elearning platform. For example, when you contact us about products and services, when you take a questionnaire on the VoicePrint app or if you join one of our training courses. The personal information we collect depends on how you interact with VoicePrint. It might include information regarding what pages are accessed and when, this data is anonymous but if you choose to contact us, or subscribe to get access to our free resources or blog updates they are likely to include your name, address, email address and in some cases for site security your ip address. 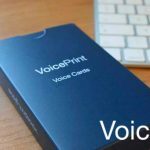 Our webapp which is at app.voiceprint.global is where you might take our questionnaires, either about yourself or a colleague. You would normally be invited to take one of these questionnaires by your employer or a third party acting on their behalf. They will have obtained your permission or have lawful grounds to enter your email address and name in order to invite you to participate. As part of taking a self perception questionnaire we will collect more data from you to help you complete the questionnaire. We use data collected to further research in the use of Voice and to identify trends. All our research is anonymised so your personally identified data is removed. The data may include your Name, Age Range, Job Category, Business Sector, Gender and Nationality. send you communications which you have requested or are closely related to information you’ve requested from us and that may be of interest to you. We review our retention periods for personal information on a regular basis. We will hold your personal information on our systems for as long as is necessary for the relevant activity, or as long as is set out in any relevant contract you hold with us. As a standard practice for anyone taking our questionnaires we retain your personal data for 24 months. After which unless we have heard from you to tell us not to remove your dossier, or you have logged in to your personal dossier to review or take another questionnaire then we will remove your personal details. Third Party Service Providers working on our behalf: We may pass your information to our third party service providers, agents subcontractors and other associated organisations for the purposes of completing tasks and providing services to you on our behalf. However, when we use third party service providers, we disclose only the relevant personal information that is necessary to deliver the service and then only if it is required and we have a contract in place that requires them to keep your information secure and not to use it for their own direct marketing purposes. You have a choice about whether or not you wish to receive information from us. We send emails to you after you place an order to confirm it and also to help you use your new products. We’d like to keep telling you (not too often) about our new and exciting products and services, you can opt in to receive these marketing emails from us whenever you use a form on our website. We will not contact you for marketing purposes by email, phone or text message unless you have given your prior consent. We will not contact you for marketing purposes by post if you have indicated that you do not wish to be contacted. 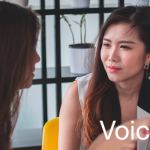 You can change your marketing preferences at any time by contacting us by email: letstalk@voiceprint.global or by clicking the links in the footer of an existing email you have received from us. Our policy for data retention is that we will hold your data for as long as it’s required for us to perform the service you’ve requested from us. 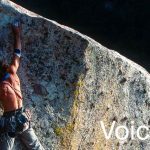 When you take a VoicePrint questionnaire we retain your personal data for 12 months. After which unless we have heard from you to tell us not to remove your dossier, or you have logged in to your personal dossier to review or take another questionnaire we will remove your personal details.